Located in the southwestern region of the United States, Nevada is a unique state situated on the east side of California. Ranked 7th in the country in area, Nevada is home to the over 2.7 million residents with the 35th most populated state. 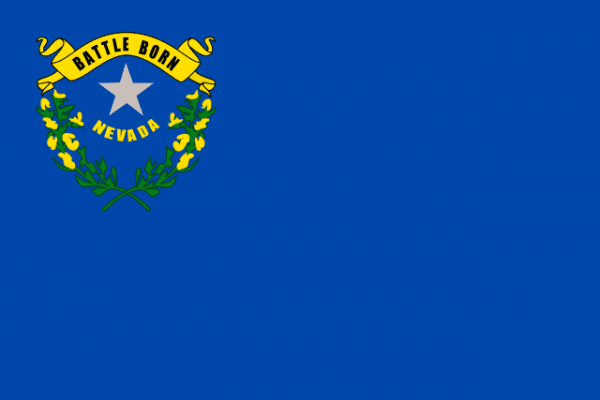 Nevada’s capital is Carson City, however Las Vegas and the Las Vegas-Paradise metro area is the largest city. It was voted into the union in 1864 as the 36th state in the country and has a rich history with the western expansion. Also known as the Silver State, Nevada has a been know for the importance of silver mining in the 1800’s. Nevada is more famously known for the gambling city of Las Vegas where there are shows, hotels, and a abundant amount of entertainment in the desert city. Tourism in Nevada is a large contributor to the economy as well as the metal mining. Scrappers in Nevada can search for scrap yards and current prices in the area on the iScrap App. By finding your local yard in the metro areas in Nevada, allows users to see the best prices in the region. If scrap yard choose not to list their prices, they can report scrap prices they’ve received. So if scrappers are shopping around for the best prices for their copper, steel, and brass scrap, they can use the iScrap App to see current prices and report their own. The economy in Nevada has a history of silver and gold mining and continues to be a large part of the industrial output. The gold production in Nevada is the 4th largest in the world with around 8% of the gold coming from the region. Silver is also a major mined material as well as, copper, lithium, and gypsum. These materials shows you the importance of scrap metal recycling in the state and can attribute to the locations of the scrap yards in the state. While a majority of the state is desert, scrap yards in Nevada can be found in Las Vegas, Reno, Carson City, and Paradise. Use the iScrap App to locate the yards in the area on the map above and you can also search for zip codes on the site. Be sure to contact the yards for their current scrap prices and ask about getting containers for your larger loads of material. You can also request auto parts for repairs and pickup services for your scrap cars. SA Recycling-North Las Vegas-Nellis Blvd. SA Recycling-North Las Vegas-Losee Rd. SA Recycling- Las Vegas-Western Ave.